Today I would like to share a few thoughts about this subject. I admit that I suffer from taking everthing too serious myself and these simple strategies help me very much. If you can answer the 2 question below with a yes, this post will help you to bring more playfulness and fun into your life. Do you sometimes feel that everything you do for your business is a “drag”? Do you catch yourself complaining, that life and business are too serious? 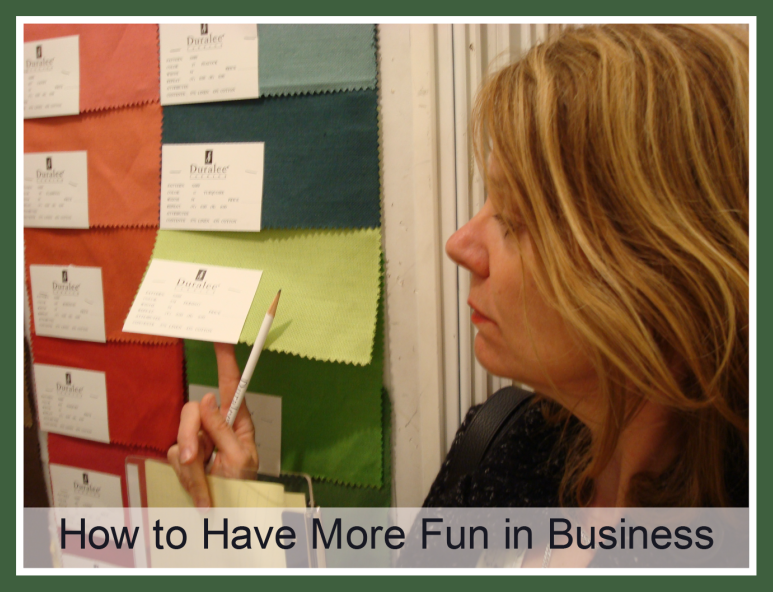 Now… how can you have more fun in business and in life? This is what I experience: if I change my attitude and bring more playfulness into work and life, I feel a lot happier and less resistant to what I do. I actually enjoy my business tasks a lot more. Below is a sample of what I sense in my body, after saying certain things. When I say I have to: I notice heaviness, dread and I immediately resistance to the action. When I say I would like to: I feel light and neutral about it and no resistance comes up. If you cannot change your work, partner, life situation, business, politics, right now, whatever it is that you don´t like, or have control over. There is one thing you can do, that will make you feel happier, more peaceful and powerful. You can always change your attitude. How can you be more playful at work? Use positive words when you talk about your chores. Just experiment with this "new way of being and doing" for few days and notice the difference. Please remember that it takes practice and patience to implement new behaviour and please… be gentle with yourself. If you have more tips, or feedback please leave a comment below, I always love to read them.